lots of random code, usually involving the drawing of a teapot. I've just started looking at the Alembic interchange format which looks like a really promising system for passing baked animation data plus a whole lot more around. With big players like ILM, Sony Image Works, The Foundry etc all using it I thought it would be good to get started with implementing my own wrapper for the ngl:: library and just have a general look at what it can do so I can do a lecture or two on it. Installation is fairly straight forward, you need boost++, HDF5 and cmake and the OpenEXR framework libraries ( ILMBase which has IMath etc). On the mac the latest version get placed in /usr/local/alembic-1.0.3 and this will have the static libs, headers and maya plugins needed to get started. I'm not going to dwell too long on the structures etc of Alembic at present and just have a look at getting started on some very basic loading of meshes etc. A good overview can be found here. I have named each of the primitives to I can see how they fit into the alembic structure, also as transforms are present within the alembic structure, I decided to duplicate and transform some of the elements to see how this worked. To export the data we can use the maya exported which comes with Alembic. This is called AbcExport and can be run from the Mel script window. I've not really managed to figure out how selection / grouping works with the exporter as yet, and it seems best to make each individual element in the scene a root and export in turn. This can be done with the following command. You will see that the -j option is basically a command string that specifies the job, in this case we are exporting world space root nodes (-ws) where -root indicates each of the objects to store. Finally I'm writing to the file MayaTest.abc with an absolute directory. You will notice that we need to include both the hdf5 and ILM libs as well as the static alembic libraries. The first program I wrote was a basic traversal of the structure looking for nodes / meshes. From initial reading of the docs It seems that the internal structure of an alembic file closely resembles as unix file system. With a root node / then nodes following down a tree structure. Each of these nodes is a distinct object that we can access and gather attribute values from. In most of the sample code / demos a recursive visitor pattern seems to have been used for initial test I wanted a simple iterative solution for quick testing and debugging so I decided to use static loops instead. The following code is the basic opening of a Alembic archive. "Because Alembic is intended as a caching system, and not a live scenegraph, the API is split into two roughly symmetrical halves: one for writing, and one for reading. At the Abc and AbcGeom layers, classes that start with ‘O’ are for writing (or “output”), and classes that start with ‘I’ are for reading (or “input”). This is analogous to the C++ iostreams conceptual separation of istreams and ostreams." So in the above we are opening an input (I) archive. The code above grabs the child header of the current object and prints out the name. We then create a new IObject from the current object branch (getChildHeader(i).getName() ), this is the next object in the tree and we can then traverse this. Once I have the ability to grab the mesh in the file structure I can now look at accessing the point data and rendering it. This is a two stage process with the maya output as we have a top level transform node and then the point data. 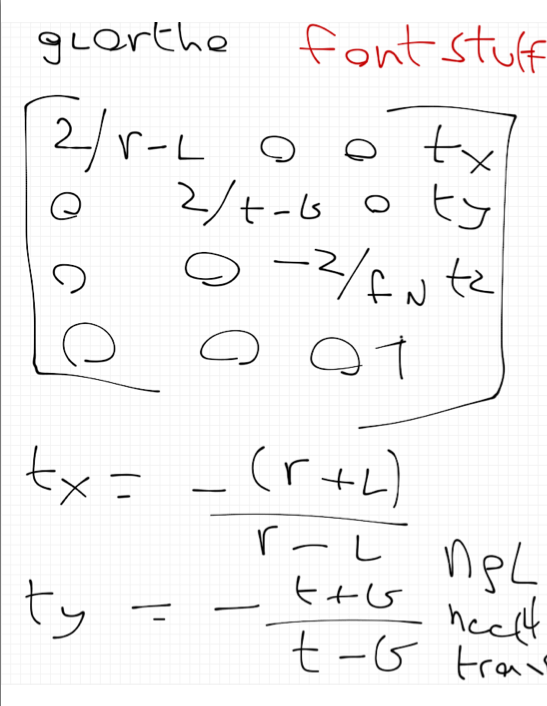 We need to get the transform matrix, then we need to multiply the points by it to get them in the correct world space. You will see that this returns a M44d which is from the IMath library and is a 4x4 Matrix. We can also access the XformSample elements in a number of ways such as getTranslation, get[X/Y/Z]Rotation, getScale which will actually fit in well with the ngl::Transform class once I get to that stage. 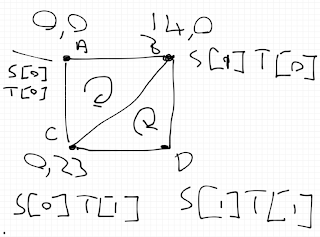 Initially I'm just going to use the raw matrix and use IMath to do the multiplication with the point. "Because Alembic is a sampling system, and does not natively store things like animation curves or natively provide interpolated values, there is a rich system for recording and recovering the time information associated with the data stored in it. In the classes AbcA::TimeSamplingType and AbcA::TimeSampling, you will find that interface." We access the mesh sample at the current time value (0 as we've not set any frame data yet) and we can get the positions (and size) at this temporal sample. A lot of this post is supposition / basic rantings about what I've done so far, as this is a very new API and there is very little solid documentation at the moment, I think this post may well be updated / superseded very soon. It is my intention to fully integrate the mesh and possibly lights / cameras as much as I can into ngl, and we also intend to use this as a core data exchange format at the NCCA, so I hope to have much more detail about all this very soon. I'm just about to put the feature freezes on NGL 4.5 and this blog post is going to highlight the many changes from version 4.0 which many of you may have used in last years assignments. Perhaps the biggest change in the whole library is the conversion OpenGL 3.2 core profile only. This design decision was made for a number of reason, primarily for speed and compatibility across platforms, but also so I can teach the very latest versions of OpenGL and CGI techniques. The only major issue you may encounter with this change is that only Mac OSX Lion is now supported. The main reason for this decision was so we could use GLSL 150 which is only available under mac using Lion and also makes it easier to port all the code base to OpenGL ES ( there is an iPhone port of NGL which will be released soon). If you don't wish to upgrade to Lion then you will have to use the legacy version or develop under another platform. This also means that all immediate mode OpenGL has gone, (under Lion they are not present as it uses two different libraries for GL2.0 and GL3.2 see here ) so it means you can no longer use functions like glBegin, glVertex, glRotate, glTranslate, glScale etc. It also means that the whole OpenGL lighting and Material subsystem has also gone and we need to use shaders to do everything. I've already mentioned some of these things in previous posts. ngl::ShaderManager has been replaced with ngl::ShaderLib, this is mainly a name change after some healthy in class discussions with Ian about class naming. Also all calls to the shader subsystem no longer need the name of the shader passed as a parameter. It is assumed that the currently active shader is the one to set parameters for. ngl::VertexArrayObject class was added in 4.0 but is now used internally to create all geometry required in any of the classes. This has made the removal of any immediate mode OpenGL much easier. The following new classes have been added, some are to help with GLSL compatibility and some because of the changes to core profile required it. 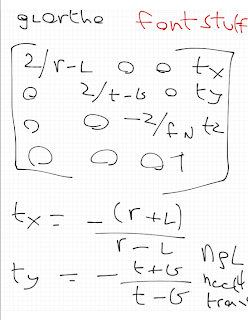 ngl::Mat3x3 a simple 3x3 matrix class which can be created from the ngl::Matrix class. 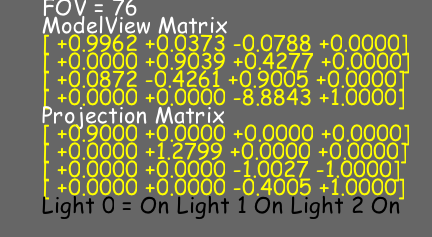 This is generally used to calculate the normal matrix for GLSL shaders and lighting calculations. ngl::Vec2 is a simple container for a GLSL vec2 type and works similarly to above. I'm currently in the process of converting the demo programs to work on the new Version of NGL and this is taking a little time as there are quite a lot of changes in the way the shaders work and this does take some time. 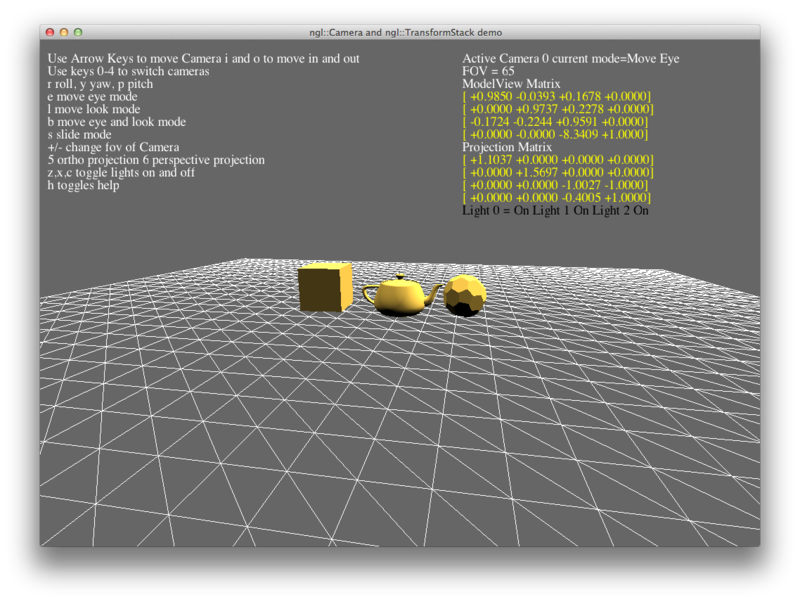 I've been working on porting the ngl:: library to be completely OpenGL core profile 3.2. One of the main issues I've had is the rendering of text. In the last version I used the QGLWidget::renderText method, however this is not available when using core profile OpenGL and also has a habit of crashing when using certain modern OpenGL elements. To overcome this problem I have designed and implemented my own OpenGL text renderer and the following post will explain the process / design of this and my approach. The approach I use follows the standard methods used in other packages and the following survey gives a good overview of these. My main concern with the design was that it only uses Fonts from Qt and that it works with OpenGL 3.2 core profile and above. The initial design decision was to create a single texture image containing all the visible ASCII characters, however this was soon dropped as there are issues with the ways that fonts are constructed to have different kerning values. So for the final design an individual image / texture is created for each font, with the character calculated to be at an origin of (0,0) Top left of the screen. Using this we will need to then calculate the height of the font once and for each character generated store the width of the different text types. This class stores the individual width of each character's glyph gathered from the method QFontMetric::width() as well as the id for a generated texture and a pointer to a vertex array object which will contain the Vertices and UV data for the billboard. The following code shows the basic process of generating each of the font textures. // into the qimage then save this in OpenGL format and load as a texture. 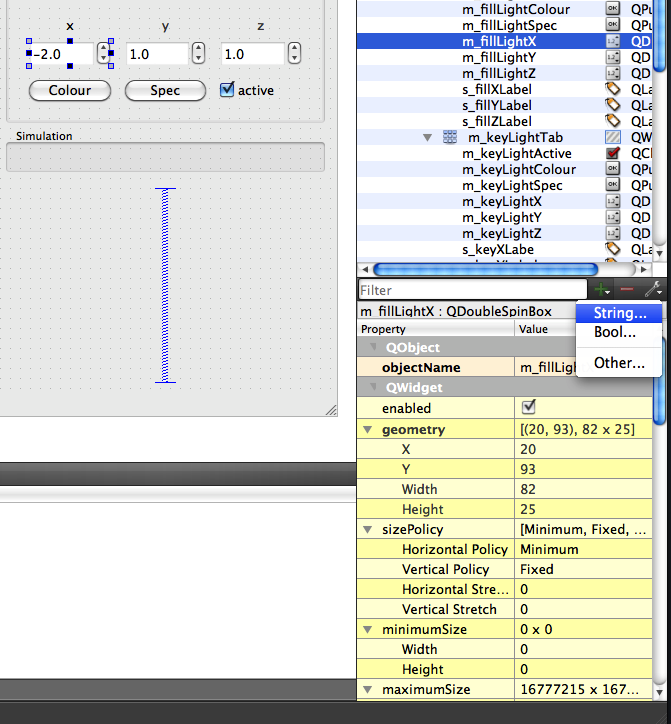 First we need to create a QImage to render the character to a glyph. As most OpenGL implementations required power of 2 textures we also need to round our image size to the nearest power of two. To do this I found a handy function here which is called with the image width and height to make sure we get the correct texture sizes. 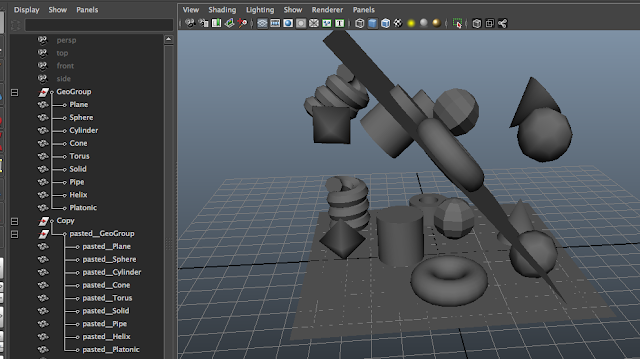 Next we set the texture fill to be Qt::transparent and the image pen colour to be Qt::black. As the actual text rendering is done by a special shader this value is unimportant, what we are actually after is the alpha values in the image which are used to indicate the "coverage" of the text (more of this later). After this is done we use the QPainter class to render the text into our QImage. This stage is all Qt specific, as long as you have a Font library which allows you to save the glyphs into and image format and gather the font metrics it should be easy to port to other libraries. Now we have the font dimensions and the glyph as a QImage we can generate both the billboard and the OpenGL textures. 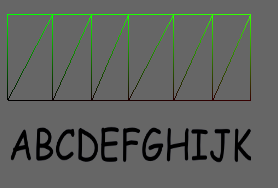 The image above show the original sketch for the Billboard as two triangles, with the UV cords and the sequence of generation. The ngl library has a simple class for storing this kind of data called the VertexArrayObject all we have to do is pass the data to the class and then use it to draw. The following code does this. To render the text we need to convert from screen space (where top left is 0,0) to OpenGL NDC space, effectively we need to create an Orthographic project for our billboard to place it on the correct place. The following diagrams show the initial designs for this. As each of the billboards is initially calculated with the top right at (0,0) this transformation can be simplified. The following vertex shader is used to position the billboard vertices. 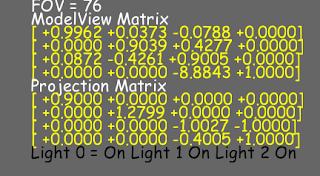 This shader is passed the scaleX and scaleY values from the Text class these values are calculated in the method setScreenSize as shown below. 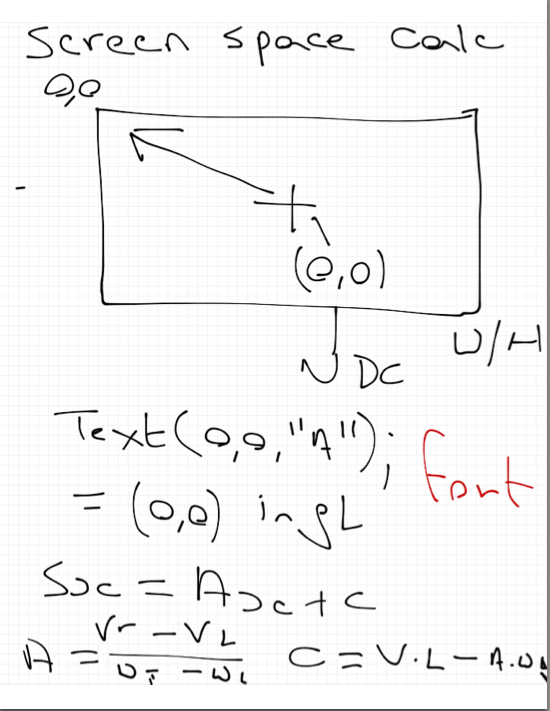 This method must be called every time the screen changes size so the x,y position of the font are correctly calculated. The xpos / ypos uniforms are the x,y co-ordinates of the current text to be rendered and the actual billboard vertices are passed to the shader as the inVert attribute. 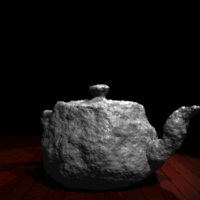 This is shown in the renderText method below. Before we can render the text we need to enable the OpenGL alpha blending and we use the SRC_ALPHA, ONE_MINUS_SRC_ALPHA so the text will be rendered over the top of any other geometry. I also disable depth sorting so if the text is rendered last it should always appear over any geometry. 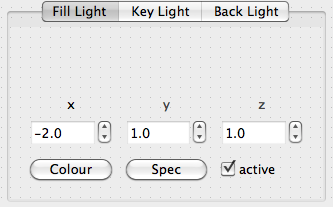 To set the text colour we use the fragment shader below. The next tests / optimisations are to determine if we have any billboards of the same size and only store ones we need. This should same VAO space and make things a little more efficient. For Times font we now only create 15 Billboards, for Arial 16 unique billboards, for Courier only one as it's a mono spaced font. Term has started and a number of students have been asking about installing the version of Ubuntu we use in the labs on their home machines. There are many ways of doing this and my preferred way is to delete windows and only use Ubuntu, however most students don't want to do this as they want windows for gaming etc. The simplest solution to run a basic linux box suitable for basic programming / exercises needed in the first year of our courses is to use Oracle (Sun) Virtual box and install a basic linux system. First we need to download a couple of packages. The first is the virtual box host software which can be found here and a linux iso ready to install. For the current university build we are using Ubuntu 10.4 LTS which can be found here and we are using the 64 bit version. The following videos show the install process and how to proceed. For the first time in quite a few years I'm teaching first year programming, and had to re-visit the classic hello world program. I've decided to upload a few video walkthroughs of how to write the hello world program in python, C and C++ so I don't have to repeat myself too much. I'm currently writing a model viewer which allows the user to load meshes and textures to see how things will look in a realtime engine. One of the elements I'm currently working on is the lighting system. The main plan is to have very basic 3 point lighting and give the user some control over the lighting system and the ability to set the colours etc. Usually we would associate a series of signals and slots with each of the components to allow for interactions. For example if the x double spinbox is changed the valueChanged(double) signal is emitted and we can connect it to a slot (method) to process it. In the case of this first panel I would have called the same slot for each of the signals of the widgets as the light class would have to be updated with all the values. This multiple widget -> single slot would work fine for one panel, however as you see above I have three different light groups. I could have 3 sets of different slots for each of the different light controls, however there would be a lot of duplicated code and maintenance would have been difficult, also at some stage I may wish to dynamically add lights so again the code would be redundant. What I need to do is to have some easy way to determine which widget belongs to which Light group so I can process them based on the actual group. To do this we can use the Qt Dynamic properties tab in designer. Clicking on the + tab in the properties inspector above give the option to add a String or Bool (or other) dynamic property. In this case I'm going to add a property called LightName and will set it to the name of the light panel the component belongs to (for example FillLight). As you can see each of the widgets is connected to a single method called updateLight() in this method we are going to determine which widget called the method and determine it's dynamic property name. First we use the sender method of the QObject class to determine which object sent the signal. Once we have the object pointer we can call the property method to access the dynamic property "LightName". You will notice that the property method returns a QVariant object so we need to convert it to the correct data type (in this case a QString) to process it. For now I'm just printing out the different light group values, but eventually this will be used to change all the light properties. The following videos demonstrate the NCCA PointBake system developed as a simple "lowest common denominator" exporter for basic animation data. For the export code look here there are a number of Python scripts in the tgz file. 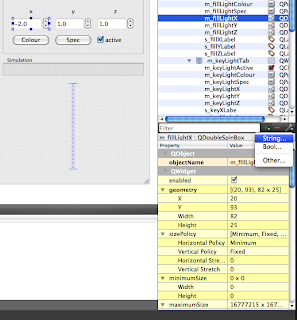 For the Source code use the PointBake and PointBakeCloth from here. Been using some maya and python and discovered there was no way to access some of the MImage methods as they use pass by reference to return values. This after some investigation lead me to the MScriptUtil class. "This class is cumbersome to use but it provides a way of building parameters and accessing return values for methods which would normally not be scriptable". "This is a hack but we couldn't be arsed to re-factor loads of our code to add proper accesors and mutators"
On further reading you get even more of a sense of that. What I wanted to do was to access the width and height of an MImage and access the RGB(A) data of the MImage and the only way of really doing this within python is to use the MScriptUtil Class. The class will be constructed with a filename and will automatically read the image file and grab the image dimensions as well as a pointer to the data.
""" The main class, needs to be constructed with a filename """
""" constructor pass in the name of the file to load (absolute file name with path) """
"The image is stored as an uncompressed array of pixels, that can be read and manipulated directly. For simplicity, the pixels are stored in a RGBA format (4 bytes per pixel)". So this was not required and was removed. There are several ways to use MScriptUtil, the various constructors allow us to generate an object by passing in an object as a reference value, or we can create an instance of the class and then associate an object as a reference. So if you need to use two pointers at the same time you need to create two MScriptUtil objects. Next we set the values to 0 for both the pointers, whilst this is not required, it make sure when we load the actual values if nothing is returned we have a null value. As you can see in this method both the width and the height values are passed by reference. The code below passes the new pointers we have created using the script util class into the getSize method and these will be associated. See all this code could be avoided if MImage had getWidth and getHeigh accessor methods! "Returns a pointer to the first pixel of the uncompressed pixels array. This array is tightly packed, of size (width * height * depth * sizeof( float)) bytes". So we also have a pointer that we need to convert into a python data type. This can be done with the getUcharArrayItem however this would need to be created each time we try to access the data. In python however it is possible to create a reference to a function / method in the actual code. This is done by assigning a variable name to a function and then using this instead of the actual function call. This can significantly speed up methods as the python interpretor doesn't have to lookup the method each time. In this case we hard code the 4 as the MImage help states that the data is always stored as RGBA if this were not the case we would have to query if the data contained an alpha channel and make the step 3 or 4 depending upon this.
""" 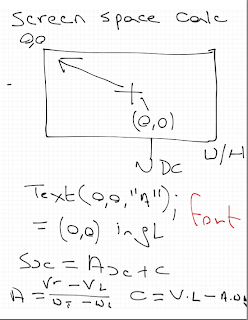 get the pixel data at x,y and return a 3/4 tuple depending upon type """
print "error x out of bounds\n"
print "error y our of bounds\n"
Other methods shown below are also added to the class to allow access to the attributes, whilst python allows access to these class attributes directly, when porting C++ code usually we will have getWidth / getHight style methods so I just added them.
""" return the width of the image """
""" return the height of the image """
""" return True is the image has an Alpha channel """
My usual day to day development environment is a mac, and I usually write code using Qt / g++ so it's easy to port it to Linux which is the main development system at the University. However most of the students seem to use Windows as their main computer system so I had to really support windows with my NGL library. Luckily the Windows version of the QtSDK comes with a g++ compatible compiler called mingw and once the other libraries were installed in the correct places the library seems to compile and link into a DLL. Once this code is in place, the windows version of Qt will set the win32 specific flags and compile correctly and also include the glew elements statically into my library and hence reducing a dll dependancy. With all this in place the library built with no problems and a .dll / .a file was generated under windows and a simple demo application would run. I left the library under windows at this stage and continued the development under mac, however I began to get reports of things not working under windows. Initially I thought it was a driver / gpu problem as it seem to occur in the shader manager class. The first indications of things not working was when a lookup to a shader returned the null program which is a safety mechanism. The following code shows the method and the call to the method. It appeared at first that the map find method was at fault as it was not finding a shader that I knew was in the class. However I started to print out the size and contents of the map I noticed that in some cases the map contained the correct values and in other cases it was empty. Why would this be? It seemed weird that this was happening as the class was based on a singleton pattern so there should only be one instance of the class, also this bug only appeared in the windows version so I was unsure what was going on. I placed a number of debug statements in the singleton template class used for the shader manager and discovered that the constructor was being called twice WTF! My initial response was that I was having a weird threading issue and my singleton wasn't thread safe, so I added a QMutex / QMutexLocker construct around the singleton and also made it inherit from boost::noncopyable so that it could not be copied. This however was not the solution to the problem as it still continued. 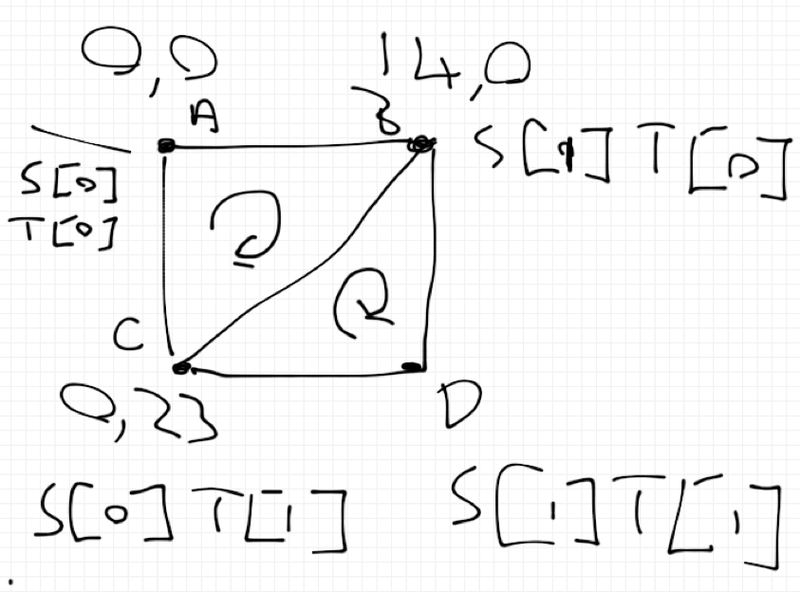 After digging deeper into the code I traced exactly where the rouge call to the singleton ctor came from. In my TransformStack there is a convenience method to load the current Transform into a parameter of the shader, the code is actually in the ngl::Transform class and looks like this. This method actually lives in the library, and hence under windows in the DLL, and this is where the problem begins. It seems in the windows DLL the library data is in a different scope when constructed unlike the unix / mac shared libraries. In this case when the dll invokes the shader manager singleton, it doesn't exist in the DLL memory space even though it has been called in the main application linking to the DLL. In other words the singleton is not shared by default. There is a good post here about it. "That's a critical bug and refactor waiting to happen. If you need to share something across DLL boundaries, there is exactly one way to achieve that. Your solution fails the second anyone adds another DLL that links to ngl (i.e. you've just offset the problem for your students to deal with later). s_globalShaderInstance *needs* to be DLL exported." "if you need to access something from a DLL, it needs to be DLL_EXPORTED. End of story"
This code would have to be in the windows version, and depending upon wether we are building the library (DLL) or using the library we would need to either __dllimport or __dllexport our classes. Once this has been added to the types file we need to add the BUILDING_DLL define to each of the classes. This is shown below. Or so I thought, some of the simple programs that only used the ngl library compiled and ran correctly, however one of the programs which made a call to glUseProgram(0) in the main application failed to compile, due to a linker error, this error said that the method was not found and gave an imp__glew.... style error which means that the actual function call could not be found. I thought that I had statically bound GLEW into my lib so it would work, however GLEW basically binds method calls to the driver once the glewInit function is called and in this case this is called in the DLL but no my application, to overcome this problem I need to put the glew.c source code into my applications as well the library. This is not an ideal solution but is quite easy to do and saves the hassle of building the glew library using Qt / mingw. I will at some stage do this but for now this quick hack will suffice. In this video I add the rest of the UI components and finish off the rest of the GUI. Next we add lots of flags to the .pro qmake file to configure the paths used for the ngl library. The move method, first stores the current x and y values of m_pos, we then increment the values based on the parameter passed in and check agains the extents of the screen. If we are not at the edge of the screen as set in these extents we add the values passed in to the value of the m_pos attribute. For the rotation the value is just added. // this method is called every time the main window recives a key event. Once any keys required in the MainWindow class are processed the key events are then passed onto the GLWindow class for more processing. Now we will create an method to process the key values stored in the set and update the ship. First we set the x,y and rotation values to 0 to indicate there is no movement to the ship, next we loop through all the keys in the QSet using the foreach iterator provided by Qt. We then check to see if a key is active and update the direction variable based on the static variable s_shipUpdate. Depending upon the direction we set this to +/-s_shipUpdate. Finally we check to see if there are any keys active and if so update the ship direction by calling the move function. Finally we want to separate the movement and draw commands so we can get a fixed update for drawing. To do this we create two timers one which will trigger the ship move update and one for the re-draw. This is done with the following code, first in the constructor we start the timer. Jon Macey. Simple theme. Powered by Blogger.